This luxurious body wash is a gentle soapy cleanser that is suitable for normal to oily skin. 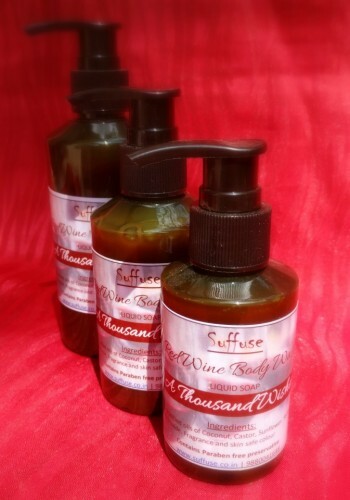 Red Wine adds rich nutrients and antioxidants to the soap which gives a highly luxurious and moisturizing lather. It has anti-fungal properties and helps reduce fine lines and wrinkles.